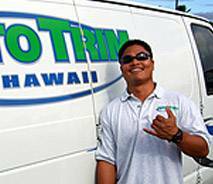 Our goal is to always provide customers of Oahu with the best products and service in the business. I guess you could say that our roots are in window tinting. I started off working for my dad at his Trimline/3m auto restyling shop. It was there that I not only fine-tuned the craft of window tinting, but also learned the importance of the term “quality” — in the products we used in our installation practices and our customer service. These three things formed the foundation of the business that I would run in the near future. 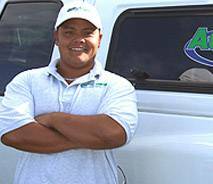 Now with over 25 years experience in the industry our focus hasn’t changed. We are always striving to find new ways to take that quality to the next level. 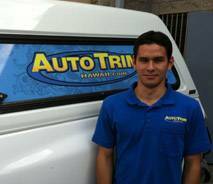 By constantly investing in training, equipment, and specialized product lines we can confidently guarantee that our customers receive the best window tinting service that Oahu has to offer. 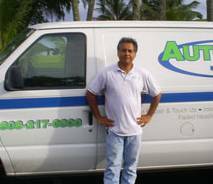 Their hard work, keen attention to detail, and desire to always take care of the needs of the customer has helped make the business the success that it is today. © 2019 Window Tint Hawaii all rights reserved.